Start your table planning now! Please email sales if this is a problem. Note that this is a single payment (not a recurring subscription). If you pay in a currency different to your local currency the payment will be converted into your local currency by your credit card company/bank. You can get approximate exchange rates here. You need a licence key for each user of the software, regardless of the number of computers installed onto. The only exception is couples who are planning their wedding, who may share the same licence key. It is also possible to buy a single organizational licence for multiple users. 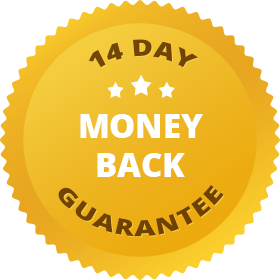 We offer a 14-day money back guarantee for your peace of mind. See our terms and conditions for full order and delivery details. Buy a licence key online to unlock PerfectTablePlan’s full capabilities and get started immediately. No need to reinstall if you have already installed the free trial. A licence key lasts indefinitely, can be installed on more than one PC/Mac (for your own use) and allows you to create any number of table plans. More details. Pay securely online via 2Checkout using any major credit or debit card (including VISA, MasterCard, Amex, Switch/Maestro and Solo), wire transfer or PayPal. Buying licences for more than one user? Upgrading from v1, v2, v3, v4 or v5? Upgrading to PerfectTablePlan Advanced or Professional Edition?